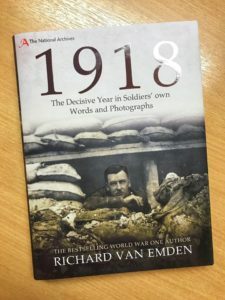 How would you like to get your hands on an exclusive signed copy of Richard van Emden’s new release, 1918?! Well we have one to give away! 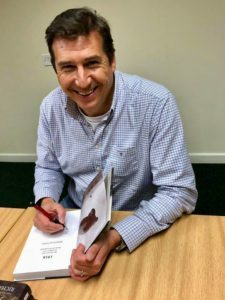 Read on to find out how you could win this exclusive prize…. What’s it about? 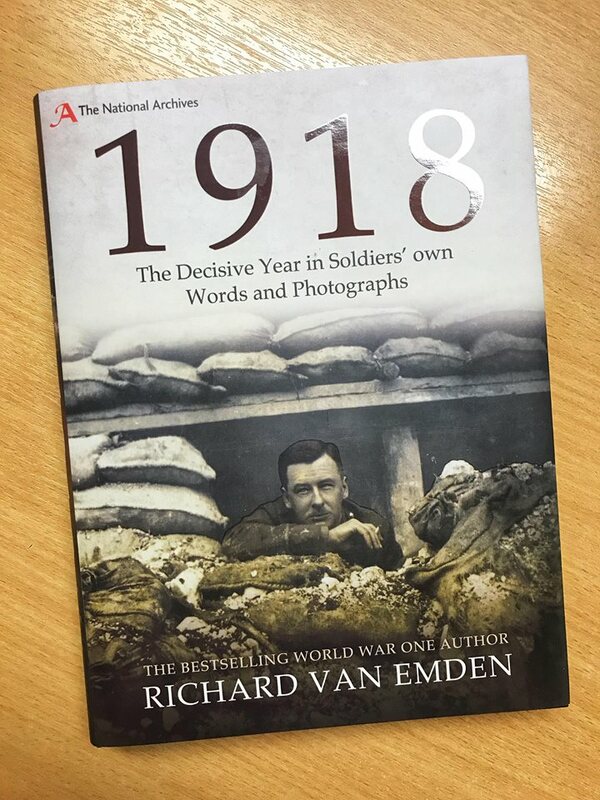 A century on, best-selling First World War historian Richard van Emden builds on the success of his previous books, The Somme and The Road to Passchendaele, with this next volume including an extraordinary collection of soldiers’ photographs taken on their illegally-held cameras. 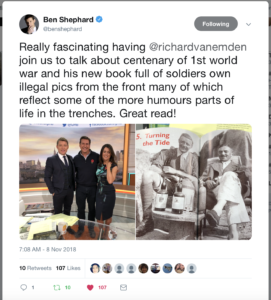 Utilising an unparalleled collection of memoirs, diaries and letters written by the men who fought, Richard tells the riveting story of 1918, when decisive victory was grasped from near catastrophe. 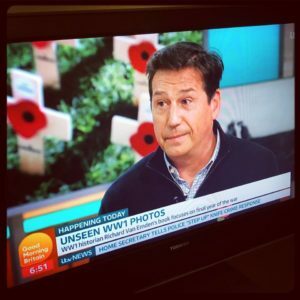 Richard has been busy promoting his new title recently appearing on Good Morning Britain, if you missed the interview you can watch again here. 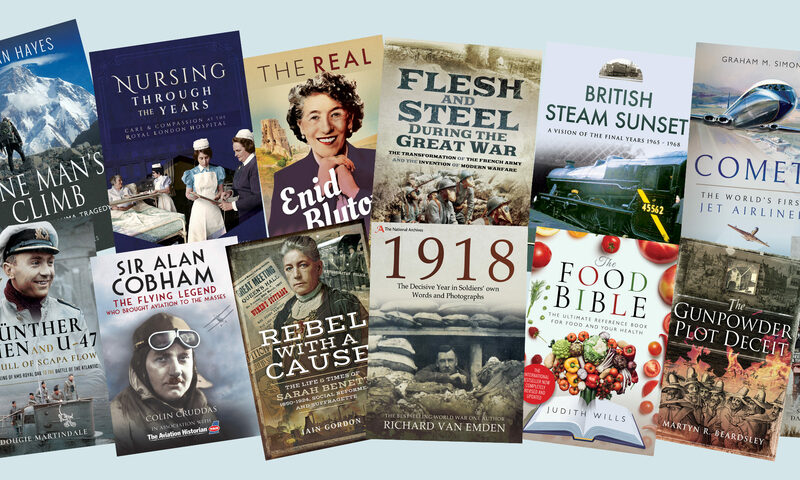 To be in with the chance of winning this amazing prize simply email us with the subject line ‘1918 Giveaway’. This competition closes at 11.30am on Tuesday 13th November and the winner will be notified shortly after. Don’t miss out on your chance to win this great prize! !